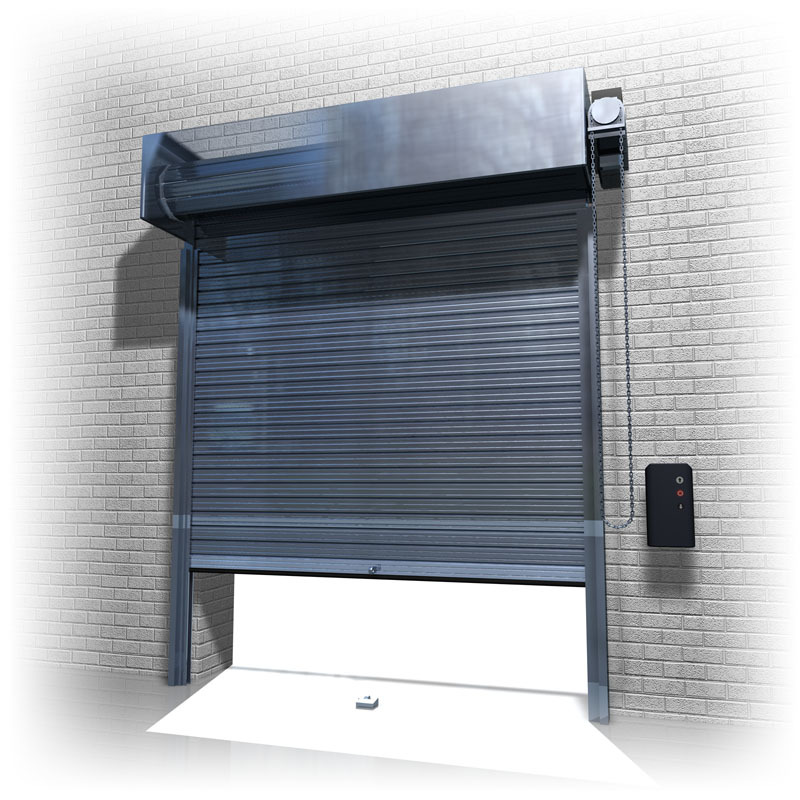 Thermaroll Insulated Roller Shutter doors provide excellent heat retention, without the requirement for Sectional Overhead door track arrangements. A heat loss / ‘U’ value of approximately 0.69 W/m²K is achieved due to twin skinned, hollow, interlocking laths, with a thermal in-fill material, which are incorporated in the design of the steel panelled shutter. This makes the door highly efficient and can significantly aid the reduction of heating costs. Security is controlled by the motor drive gearbox when not in operation, with Guide locks, high security ground locks and shoot bolts to receive your own padlock(s) also available. In addition to this, Electrical interlock devices can be included, to prevent electrical operation whilst locks are still in place. Colorcoat HP200 plastisol coating or polyester powder coating can provide a smart finish to either, or both skins of the door, which are available in aluminium, stainless steel and galvanised steel. You can further customise to suit your needs and preferences, with purpose designed double glazed vision panel(s), a galvanised sheet steel hood to enclose the barrel assembly, or a sheet steel fascia to fill the soffit. Plus, a range of automatic, remote control and safety facilities are available, as well as the choice between 415v three phase and 240v single phase electrical operation.